See Description Below For Pricing Terms & Conditions! BarMax is a leading comprehensive bar review course available on mobile devises. To learn more information about BarMax or to take advantage of this special offer, please click here. Why BarMax Bar Exam Review? Because we built this course for YOU. BarMax was founded after one of the founders was preparing for the bar exam and noticed there were no affordable, yet high-quality, bar exam review courses available that took full advantage of the new era of mobile devices: the iPhone, iPad and iPod touch. They also found that many courses chose to overwhelm their students rather than provide clear, concise materials. Our Pass Rates - BarMax CA students had a 73% overall pass rate in 2012, 22 points higher than the CA average of 50.3%. - BarMax NY students had an 83% overall pass rate in 2012, 21 points higher than the NY average of 61.9%. High-Quality Content - BarMax bar exam prep was created by Harvard Law School alumni. - Lectures are delivered by Harvard Law School-educated law professors. Straightforward & Concise Outlines - It provides just one outline per subject; no more getting overwhelmed by multiple outlines. - Each subject has a mnemonic device to help you remember subtopics during the exam. Real MBE Questions Only - BarMax licensed 1,471 real MBE questions from previous bar exams, direct from the NCBE. - There are no fake questions like you often see in other prep courses. Study From Virtually Anywhere - Once you download BarMax you will never need Internet access again; all materials are included in the initial app download. - Other bar exam prep courses require you to lug around 50 pounds of books or be tied to a computer with a constant Internet connection. Real Practice Essays & Performance Tests with Model Answers - Model answers of other courses are written by experts under no time pressure. While these model answers are great at making you feel inadequate, they tell you nothing about what is required to pass the bar exam. - BarMax provides model answers written by actual bar examinees on the day of the bar exam, so you will know exactly what is expected of you. A Thorough Practice Essay Workshop - This workshop is written by a former bar exam grader with over 5 years experience grading bar exam essays and performance tests. - It provides a great foundation on how to format your essays and performance tests to receive maximum points. Personalized Essay Feedback by a Former Bar Exam Grader - 2 revisions are included with the course. - For students who need more personalized attention, additional revisions are available for just $20 each. Lifetime Access & Support - The app is yours, forever! (Although we are confident you will only need it for a few months.) - Unlimited access to content-related support from Harvard Law School alumni. 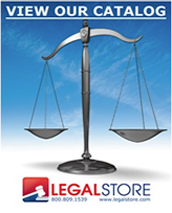 The Price - BarMax costs just $999; (LegalStore registered customers receive a $150.00 discount off the listed price or $849.00); this gets you instant access to all course materials for life. - There is no reason for other bar review courses to charge over $3,500 for a bar review course. It made sense back when these courses included live instruction, but it is unjustifiable for a self-study course or a classroom with no instructor. To learn more about BarMax or take advantage of this special offer, please click here.